A buzz of excitement passed through the crowd at the 2018 Military Influencer Conference hosted in Orlando, late last month. 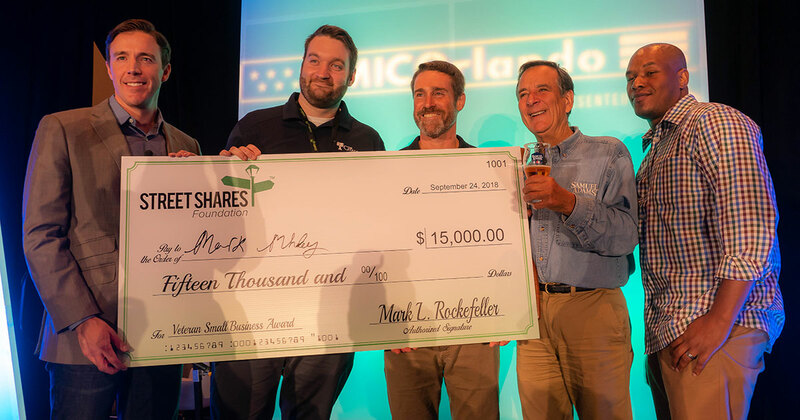 The StreetShares Team was about to introduce the top three finalists of the StreetShares Foundation Veteran Small Business Award – Food & Beverage Edition to a crowd of excited conference goers. 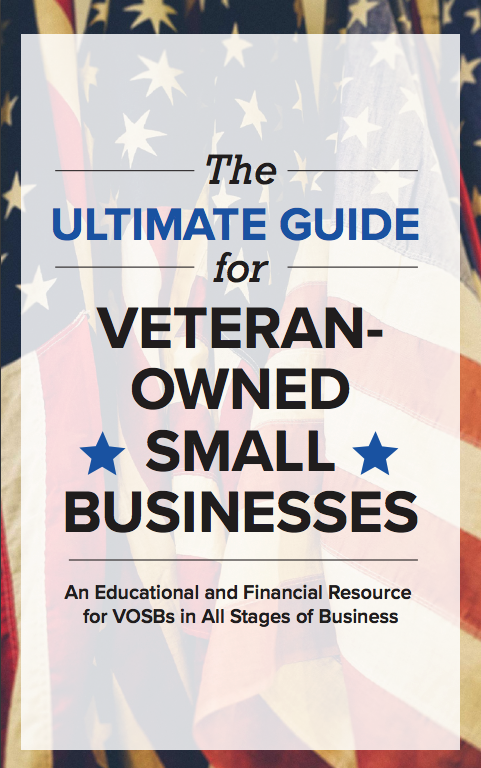 Over 100 veterans and military spouses applied for the StreetShares Foundation Veteran Small Business Award. The StreetShares team chose 14 finalists and over 11,000 online voters chose the final top three contestants. The audience at the Military Influencer Conference was about to hear the pitches of the top three finalists and their votes would determine first through third place prizes, totaling $25,000. Not only was each finalist walking away with a cash prize, but all contestants would also win a one-on-one coaching session with Jim Koch, CEO and Brewer of Samuel Adams Beer. The audience consisted of veterans, military spouses, supporters of the military community, and even current service members. The audience had just found out that not only were they about to watch a live pitch competition, but they would also be voting live via text message for the winner! In just a few minutes, their votes would decide who would receive the top prize of $15,000. Each entrepreneur delivered a four-minute pitch. The audience listened intently to each of the three finalists’ pitches. The audiences’ objective was to determine whose product or service would have the greatest chance of success in the market. Keith Sherrill of Haint Blue Brewing Company introduced his company as the “Front Porch Beer of Choice”. As a former U.S. Army helicopter pilot, he’s proud not only of the 69 craft beers he’s been able to brew but also for the fact that Haint Blue Brewing Company has had the opportunity to collaborate with other veteran-owned companies such as Rumi Spice and Abe Partridge. Sherrill stated, “At the end of the day, we’re not building a brewery and making a great product, we’re building a platform and making a difference”. Olandria Hudson of Henny Penny’s Patisserie declared to the audience, “we’ve got the goods” as she detailed the diverse customer base to which she distributes her tasty sweets. From busy parents, senior citizens, and luxury vacation rentals to the new military service members in her area whom she provides discounted products for, Hudson, a military spouse has a true passion to serve others. Mark Mhley of Re4ormed shocked the audience with a surprising fact. Concerning food waste, this veteran told the audience, “22% of what we throw away is organic. Only 5 is composted, the rest is incinerated or landfilled”. Re4ormed has designed a scalable, transportable, and remotely operable technology to replicate the stomach of a cow to provide renewable energy and recycle organic waste. Mark Mhley of Re4ormed took home the grand prize of $15,000 as the top finalist as voted by the live audience. Mark Rockefeller, CEO of StreetShares joked that this might be the first time in history that a product such as the one Re4ormed makes has beaten out beer or cake in a popularity contest! All three of the entrepreneur finalists were winners in the sense that they all went home with not just a cash prize but also a year of mentorship from the Boston Beer Team. During a fireside chat with the audience, Sam Adams Founder, Jim Koch gave his best advice from his own experiences with selling a new product, taking chances, and raising a small business from the ground up. Koch reminisced on his own experiences early on in his career with his hesitations to go out and sell his new (and at the time, unknown) product, Samuel Adams Boston Lager. Now, it’s a household name. There’s a difference between things that are scary and things that are dangerous, and we often confuse the two. “In business, there are things that are scary but not dangerous, so just calm down and take a chance”, Koch candidly told the audience. As the competition came to a close, Koch distilled some parting advice upon the audience of budding American entrepreneurs. “Enjoy the ride, it’s gonna be ups and downs. Have somebody to share it with. Be passionate about it. Most small businesses aren’t gonna make you Mark Zuckerberg, but they will make you happy”. The deadline to apply for the next round of the Veteran Small Business Awards is October 31st, 2018. The semi-finalists for this edition of the StreetShares foundation Veteran Small Business Award will be announced a few days later. To apply, please visit the StreetShares Foundation website. Previous Post: What's the Difference Between Secured and Unsecured Debt?